The 1.5 SkyActiv-D or the S5-DPTR and S5-DPTS - 1.5-litre turbo-diesel engines that were offered marketed by Mazda under its 'SkyActiv-D' label. This diesel engine was offered optionally with Mazda's brake energy regeneration system 'i-ELOOP' (Intelligent Energy Loop). The 1.5 SkyActiv-D engines have the aluminum alloy cylinder head with chain-driven double overhead camshafts. There are four valves per cylinder that actuated via roller rockers. The 1.5 SkyActiv-D engines had a variable turbine geometry (VTG) compact turbocharger. Charged air goes through a water-cooled intercooler that integrated into the plastic intake manifold. The engine had high-dispersion solenoid fuel injectors. For combustion stabilization and reducing knocking, the fuel is injected up to four times per combustion cycle. The engine cooling system features cooling water control valves (CCV). Also, the cylinder blocks are equipped with water jacket spacers for improved combustion efficiency and reduced mechanical resistance. The 1.5 SkyActiv-D engine had low- and high-pressure exhaust gas recirculation systems to ensure sufficient boost pressure under heavy loads. The attitude of car owners to the engines of Skyactive is ambiguous. Problems were registered with an increasing oil level and frequent regeneration cycles. Cars with similar symptoms tend to have high fuel consumption. 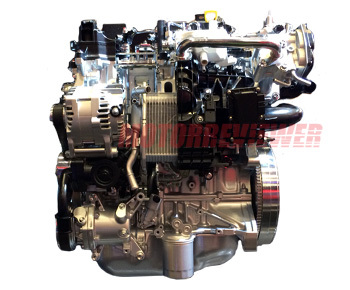 The 1.5 engine is a small performer for a small Mazda SX-3 car or Mazda 2 model; as a result, many car owners are fond of active driving, reducing engine resource, which does not exceed 300,000 km. The engine is expensive to repair even more than other manufacturers because of non-standard and innovative solutions in the design.